Rick's Automotive Center Offers Auto Repair Services You Can Count On! 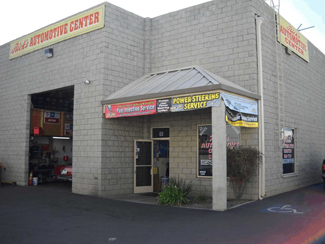 Since 1990, Rick's Automotive Center has provided motorists in the Murrieta, CA 92562 area with comprehensive auto repair services that include Alignment, Brakes, Car & Truck Care, Domestic Cars & Trucks, Electrical Services, Electronic Services, Engine & Transmission, Engine Maintenance, General Services, Heating and Cooling Services, Import Cars & Trucks, Miscellaneous Services, Towing, Transmission Services and Undercar Services. Our goal is to offer the best services available at affordable prices to get you back on the road in no time. 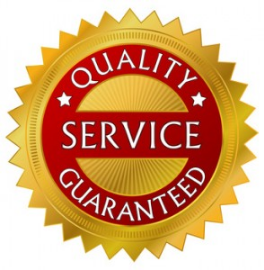 For a high-performing vehicle, trust Rick's Automotive Center with your car, truck, or van. To learn more about the services we offer, please contact us by phone at 951-696-7707 or send us an email. We also invite you to learn more about our dedication to you, our valued customer. I was here about a month ago. Had an intermittent starting issue with my Honda for a few months that couldn't be determined. My starter finally gave out and I had to have a tow on a Monday morning. Rick's was the only place of 3 that I called that could look at it the same day (the other two gave me an eta by the end of the week). He confirmed the starter gave out same day and had the repair completed at the end of day on Tuesday for me to pick up. They took the time to answer any concerns I had during the process. I will definitely be a returning customer for any future work. Rick is a great guy, right off the bat after talking with him for 3 mins I knew he would be the one to trust with my cars, weather old or semi new car, ricks got your back! Got him working on my Oldsmobile at the moment! Forget about your mechanic! Take your vehicle here! Been a long time customer of Rick's Automotive. Our Pastor recommended him to us over 10-12 years ago. I really like that he'll take the time to explain what's going on and shows me the parts he's pulled out and why they needed to be replaced. I'm weird like that, but it gives me a warm fuzzy feeling. I also LOVE that he does not oversell services that may be "recommended" but that he doesn't think is really needed. This really sets him apart from any other repair guy I've used in the past. HIGHLY recommend! I had Rick install a Jasper Transmission in my Truck and surprising enough as he told me it would out live the truck and it sure did... I like having my vehicles serviced at Rick's automotive because he never tries to up sell me service or parts my vehicle doesn't need and in this economy we need any friend we can get. Rick now services my newer vehicle and I can depend on his knowledge as my mechanic to make sure my vehicle gets the best service. Guys across from him at the smog check recommended him when my car failed the smog because of codes showing up on their maching. Took it to Rick's and he cleared the codes and helped me pass smog. He charged me $20 for his time which I felt was a deal. According to the smog check mechanic, rick's is honest and priced reasonable with no nonsense customer help.